Tag line: "Your senses will never be the same"
When I was in 6th grade, a classmate of mine turned me on to The Who, and they’ve been one of my favorite rock groups ever since. I enjoy all their music, from early hits like “I Can’t Explain” and “A Legal Matter” to such later songs as “Sister Disco” and “You Better You Bet”. And while I consider Who’s Next to be their finest LP ("Baba O’Reilly" alone makes it a classic), the group’s rock opera, Tommy, is a very close second. When told that her husband, Capt. Walker (Robert Powell), was killed in battle during WWII, a heartbroken Nora (Ann-Margret) tries to get on with her life, doing all she can to raise their son, Tommy (Barry Winch), on her own. After a while, she meets Frank (Oliver Reed), and the two fall instantly in love. But when Capt. Walker, who was very much alive, surprises them one night, Frank mistakes him for a burglar and kills him. Young Tommy witnesses this horrific event, and is told by both his mother and Frank to forget everything he’s seen. This causes Tommy to have a full mental breakdown, making him suddenly deaf, dumb and blind. Nora and Frank do all they can to cure Tommy of his condition, but to no avail. 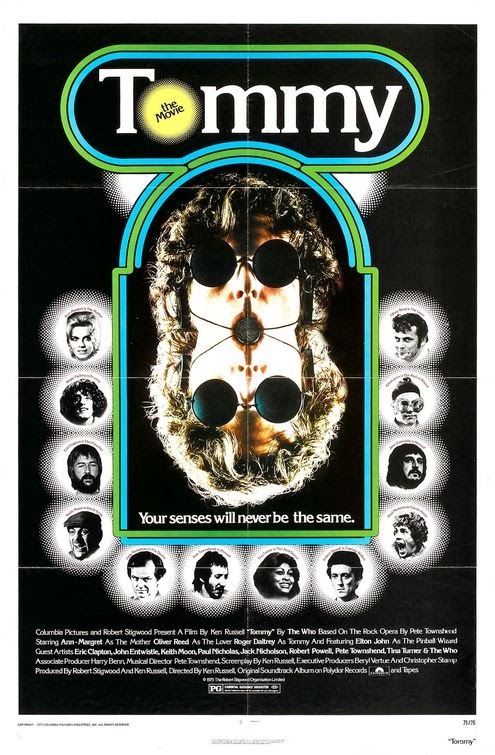 Things finally start to improve when Tommy reaches adulthood (played by The Who’s lead singer, Roger Daltry). Despite his handicaps, he becomes a champion pinball player, which makes him an instant celebrity. Soon after, Tommy even regains his senses, and in so doing inspires millions of people (there are those who believe he’s a Messiah, and worship him like a God). 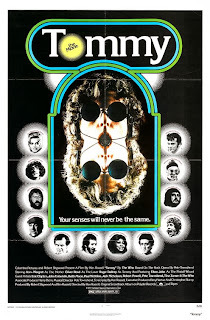 In Tommy, director Ken Russell brings The Who’s hit album vibrantly to life. The sequence featuring “Pinball Wizard”, the album’s most popular tune, is incredible, with Elton John giving it everything he’s got as Tommy’s chief rival, and Tina Turner’s rendition of “The Acid Queen” is equally as strong. But what really impressed me about Tommy was the way it presented some of the album’s lesser-known songs. The Prologue covers the romance between Tommy’s real father and Nora, and sets the film up nicely. This is followed shortly after by “1951” (originally “1921” on the album), by which point Nora has already hooked up with Frank. It’s an optimistic little number, with Nora and Frank anticipating their future together, one last bit of happiness before tragedy strikes. These tunes are handled perfectly, as are a couple of my personal favorites: “Cousin Kevin”, in which Tommy is physically abused by his bully cousin (played by Paul Nicholas); and a later song, “Sally Simpson”, where we follow young Sally (Victoria Russell), one of Tommy’s many followers, as she tries in vain to meet him at one of his concerts. From beginning to end, Russell and his superb cast give it their all, and in the process transform Tommy into one hell of a rock and roll movie.